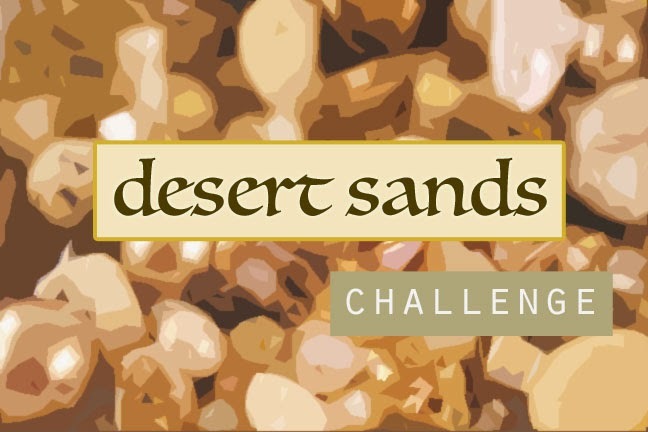 Today is the Reveal for the Desert Sands Challenge! If you're not familiar with the challenges, I put together a Design Kit and offer them on a first-come, first serve basis. Challengers claim their kits and then I send them off around the world! Each participant has about two months to create a piece and at the end of the challenge, everyone shares what they've created! It's a fun way to challenge your creativity and it's always interesting to see what each person will make with the nearly identical kits. Sometimes there are overlaps in the ideas and themes, and other times... things are vastly different! When I put together the kits, I try to focus on an image in my mind. With the cold weather, I dreamt of the warmth of the desert and the shifting sands. I pulled different shades of beige, toasted almond, browns, and gold. To learn more about the kit CLICK HERE and HERE. Each kit also includes a Mystery Component. Here's the one that I made for this challenge. CLICK HERE to find out more about it! This bracelet was made by me. I used seed beads from the kit to create this modified Chenille Stitch beaded segments. 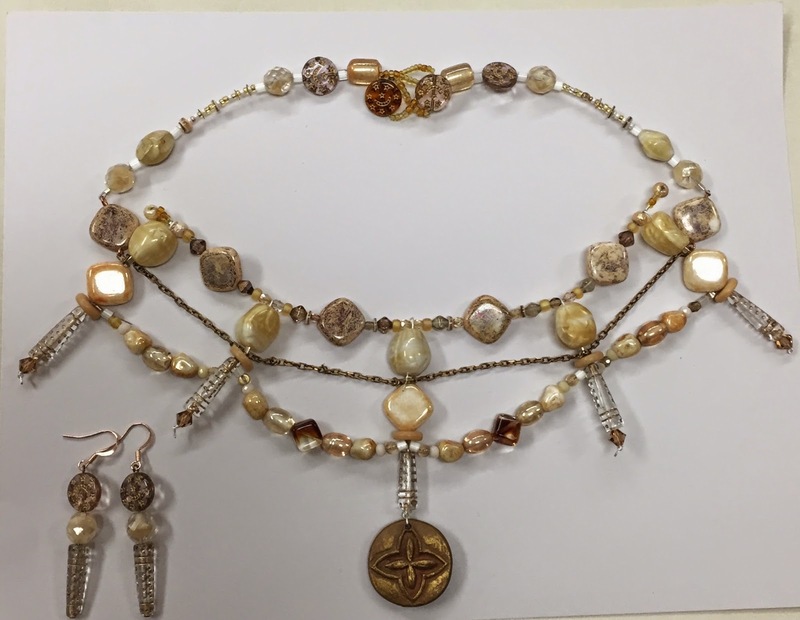 I ran a flexible beading wire through the core and paired those pieces with vintage brass filigree rounds, gold-plated spacers, vintage Czech glass, and white coral rondelles. 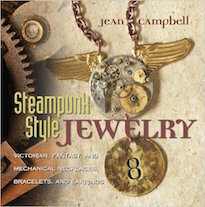 To tie everything together, I used a copper toggle clasp. I like the textures in this piece and the wearability of it. The next four pieces were made by Naama of Peculiaris. Here's what she had to say about them: "The warm creamy hues of this kit captivated me, and I let the beads lead the designs. Though I had warm desert winds in mind, some of the finished pieces remind me more of butterscotch and caramel candy. Warm sweetness instead of smoldering heat? I can live with that! For more images of my works, stop by my Facebook page: http://www.facebook.com/ peculiaris"
Another piece from Naama of Peculiaris. 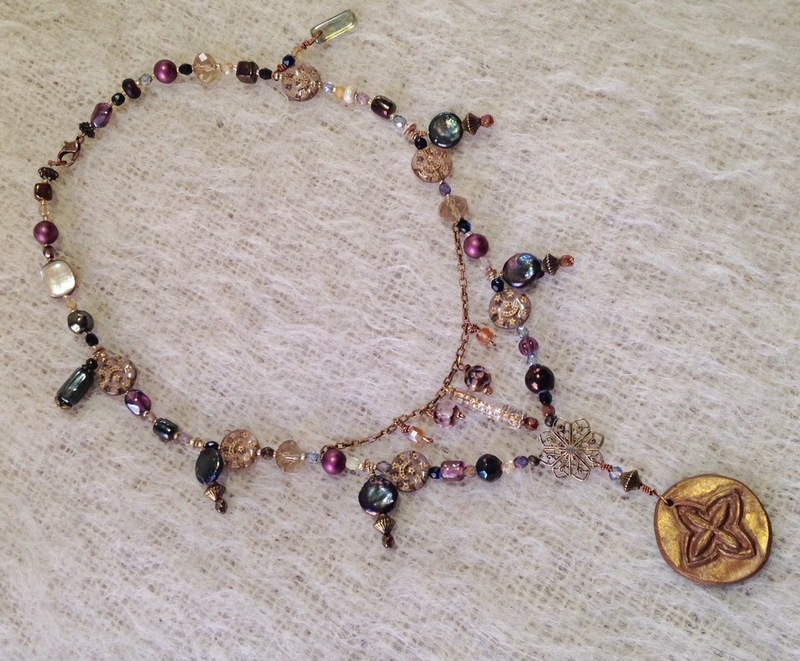 This necklace was made by Naama of Peculiaris. 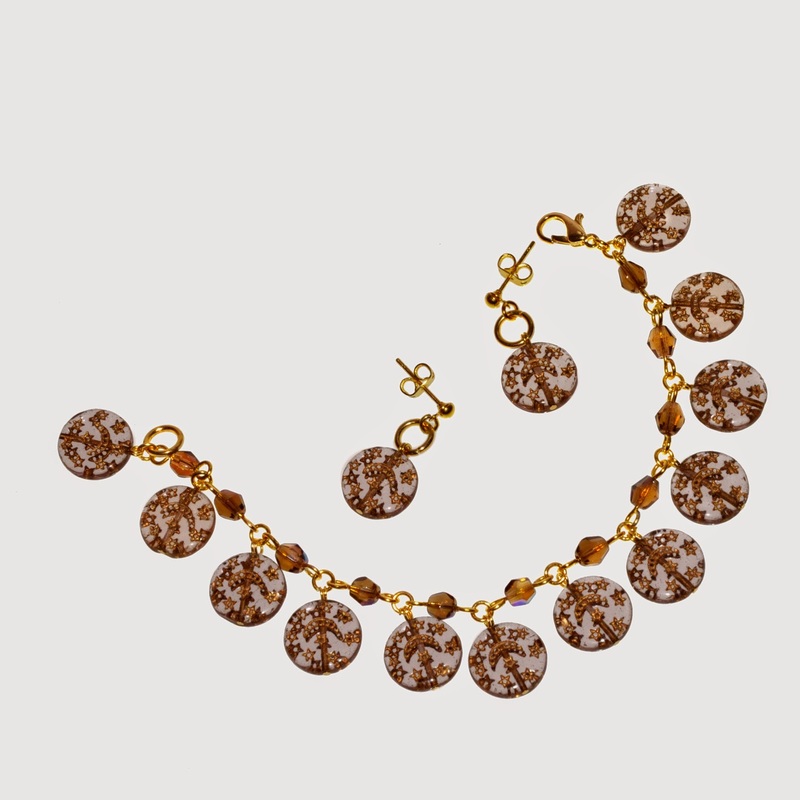 This matching bracelet and earring set were made by Naama of Peculiaris. 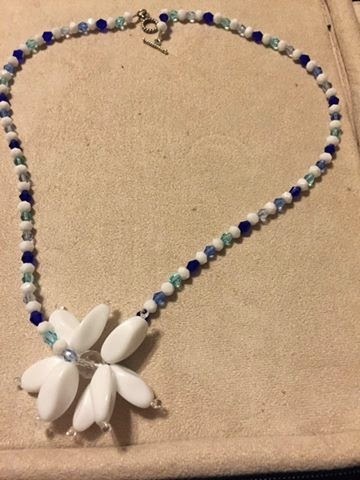 This necklace was made by Nancy Noyes-Ward. Here's what she said, "I really had a good time with this challenge. My family was even engaged and couldn't wait to see what would transpire." This necklace was made by Nancy Noyes-Ward. Here's what she had to say about it: "I have more in the works and will add those to the Catch Up Reveal next month." 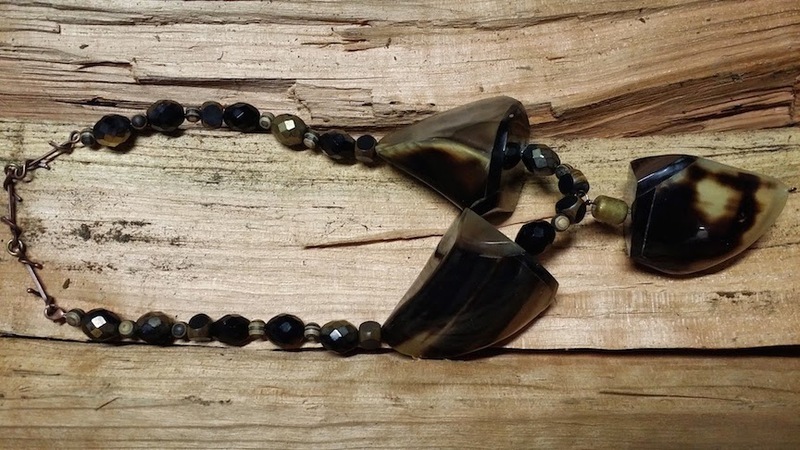 This necklace with matching earrings was made by Lisa Mendum. 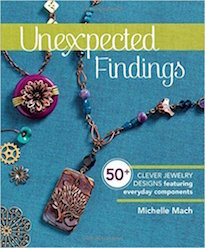 Here's what she had to say about the pieces: "This was my favorite bead challenge selection so far! I wanted to use every last bead, but there is never enough time! Is there?" 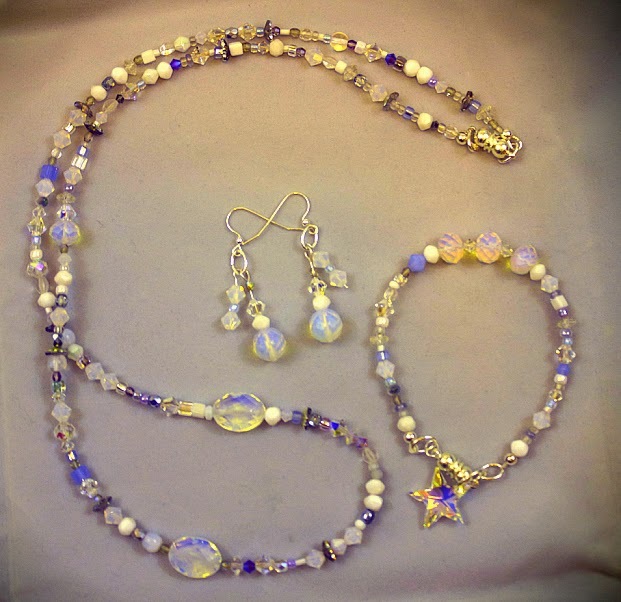 This necklace and earring set were also made by Lisa Mendum. 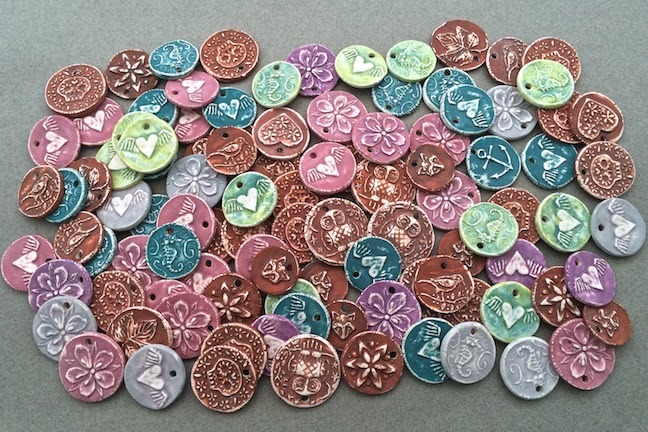 Here's what she had to say about them: "The kit included such a wonderful collection that I only added a few copper findings from my own stash. Thanks again Andrew for letting me participate! I can't wait to see everyone's beautiful creations!" This piece was made by Janice Ferrari. 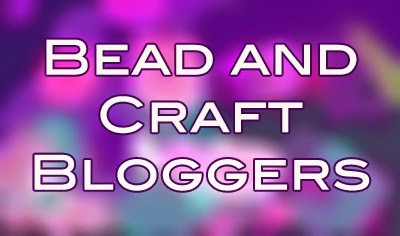 Here's what she had to say about it: "Andrew's handmade Mystery Component became my focal point for my Desert Sands bead embroidery design bracelet. 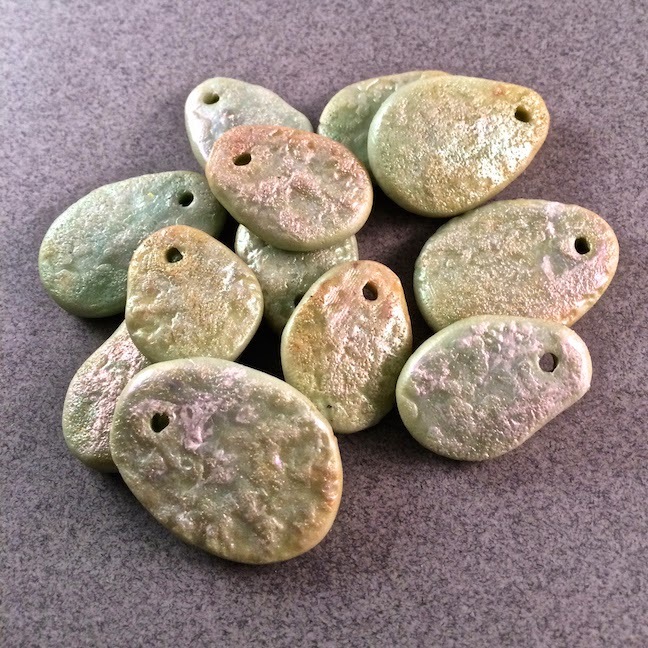 I incorporated only one extra touch of color with a light sage green 3mm rounds from my stash. The beads from this fabulous kit reminded me of the sparse greens growing among the sparkling sands/pebbles in the bright desert sunshine!" 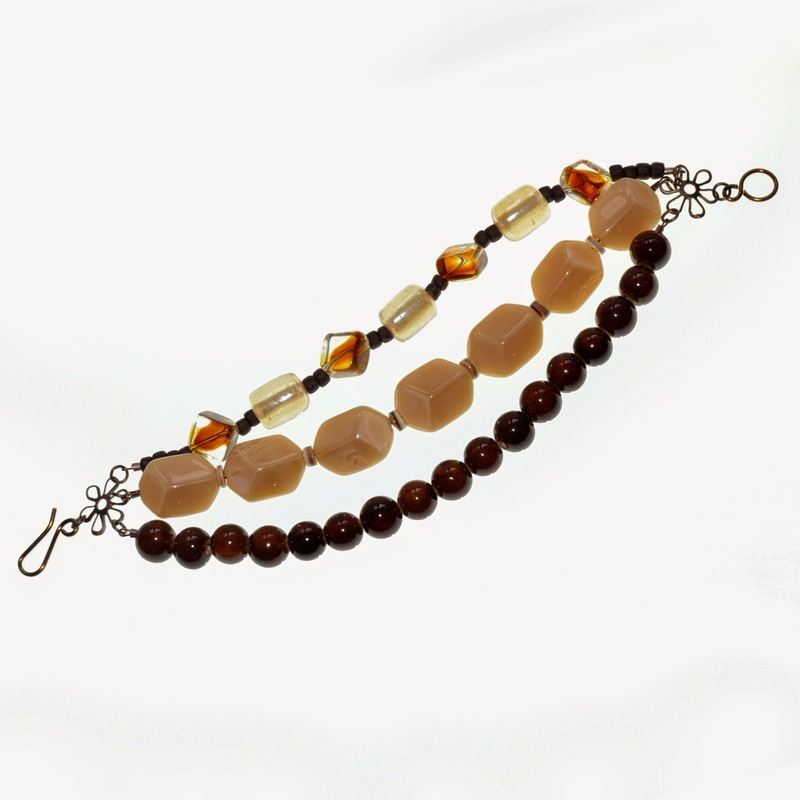 This bracelet was made by Cheryl Lee Tucker. Here's what she had to say about it: "I have been trying new techniques with each Design Kit! Sometimes with more success than others. 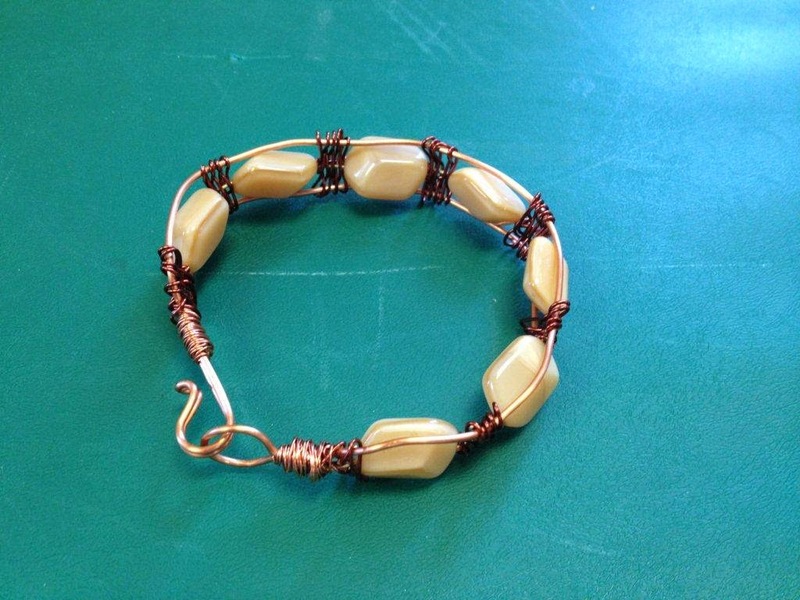 This bracelet, utilizing copper and brown-colored shaped and wrapped wire, is intended to show off the variations in the colors of the beads. I really like the warmth of the copper. I plan to make wire-wrapped earrings to match. I struggled some with the bracelet, but I like the results. I think I need more practice! 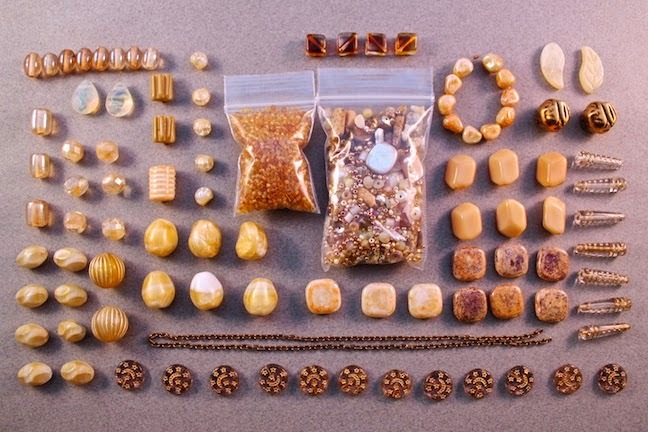 What should I try with the Marsala kit?" But wait... that's not all! Please swing by the blogs of the other participants of the Desert Sands Challenge! Check out what they made and comment on their posts! 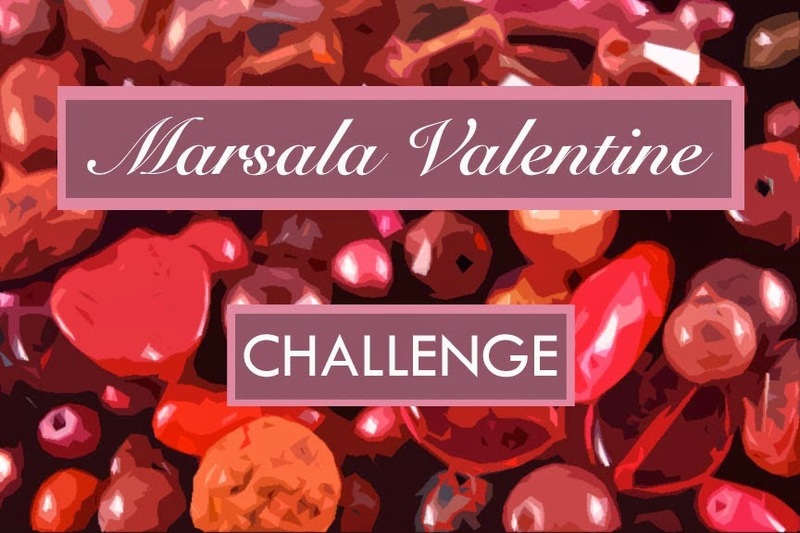 Next up is the Marsala Valentine Challenge! The reveal is set for Thursday, February 19th, 2015! Stop by and see all the lovely creations made with this Pantone Color of the Year inspired kit! 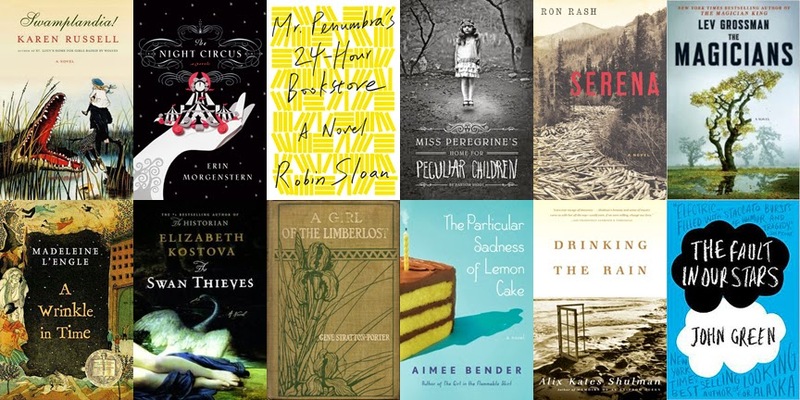 Today is the Reveal for January's selection of the Inspired by Reading Book Club! We read, "Into the Wild" by Jon Krakauer. The book was met with mixed reviews. Some said that it was action-packed and others said that they had to renew the book four times at the library to get through it! Even though not everyone thoroughly enjoyed it, everyone seemed engaged and had an opinion. Mostly everyone agreed that the subject of the book was interesting and that the main character was overly confident, egotistical, and self-centered. I personally hard a hard time with this book. Not because it was difficult or the subject matter was too abstract, but because some of the story paralleled my relationship with my brother, who also "went into the wild" and left his family behind for over two decades. Unlike the main character, my brother survived and returned to us. Knowing what it is like to live with abandonment, I sort of found Chris' interactions with others painful. Reading about how this seemingly amicable person made friends along the road, while forsaking his family, annoyed me a little. When they mentioned his little sister, I thought of myself, always wondering if their sibling was alive or dead. The meet-up was enjoyable, but small. With the bad weather, only the locals came and we had to call it an early night to avoid the worst of the weather. We sat around the table and snacked on rice cakes (to represent the 10 bag of rice the main character brought with him into the wilderness), trail mix, perogies, and hummus with rice crackers. We had intended upon watching the movie based on the book, but unfortunately couldn't make it work due to increasingly inclement weather and decided to postpone that. Here's a picture of Laurel (with her son), cradling a 10 pound bag of rice! This is one of the few provisions that he brought with him. I picked up a bag so that we could get a feel of what it was like to carry something like this for hundreds of miles. This necklace was made by Laurel. I features a blend of vintage Czech glass and horn. She said it had the woodsy feel of Alaska. This necklace was also made by Laurel! 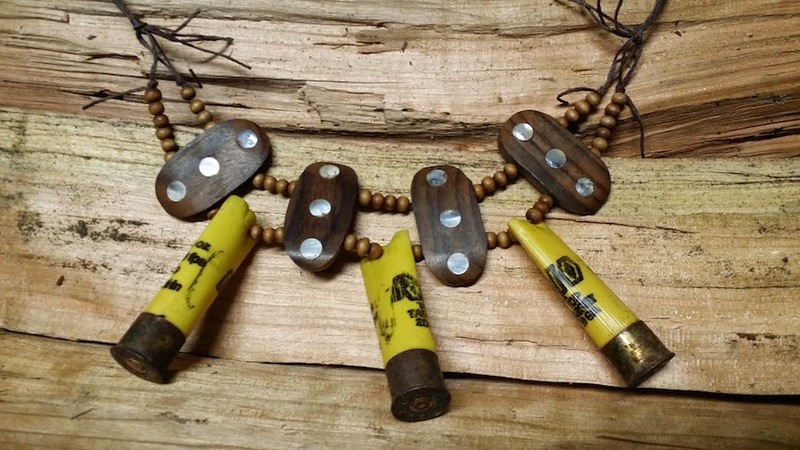 She strung up spent shotgun shells and wood beads. Part of the book discusses how the main character fed himself, including hunting his own food. I made this. It'll eventually be a brooch. It is made of polymer clay and is a representation of Hedysarum alpinum. The roots and eventual seedpods become a major source of food. It turns out that ingesting the seeds while starving and undergoing extreme physical activity can result in bad times, including lethargy... not good when you've got to run around hunting and gathering! I also carved this pendant. It features the leaves of the Hedysarum alpinum. I made a few and will eventually turn them into earrings! Amy made a really cool piece, but I didn't get a picture of it. It featured a bright yellow bead to represent his car and a certain number of beads to represent how old he was and how long it has been since his tragic death. 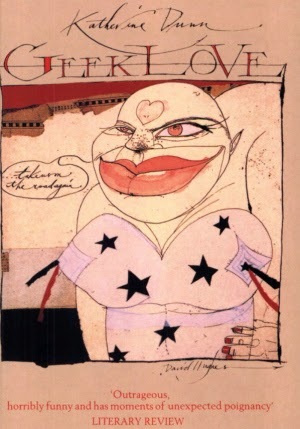 The next book up is "Geek Love" by Kathryn Dunn. For the rest of this year's list, CLICK HERE. The in-person meet up at Allegory Gallery is tentatively scheduled for Wednesday, March 4th with the blog hop on the following day. If you're interested in keeping up with what we're doing, CLICK HERE to visit our Facebook page. I was talking with someone recently and I mentioned how I craved some peace and quiet. I related how much I wished that I had less work to do and had more free time. They said, "You wouldn't know what to do with yourself!" They're probably right. I always have a project to keep me busy. I freely admit that I'm a workaholic. 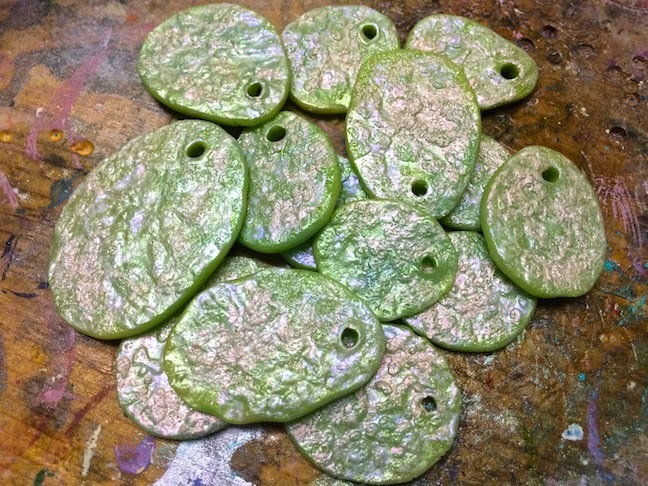 One of the projects that I've been keeping busy with is replenishing the porcelain pendants that I make. While I like to keep my hands moving, I abhor production work and it can be several months before I get back into the rhythm of making these components. In this latest batch, I've played around with color and used some glazes that have been dolefully waiting on my shelves. I've passed them over quite a few times, but finally opened them up and tried them out! I quite like this rusty, terra-cotta color! I also am smitten with this dove gray color. I didn't know if I would like them or not, but I'm quite pleased! 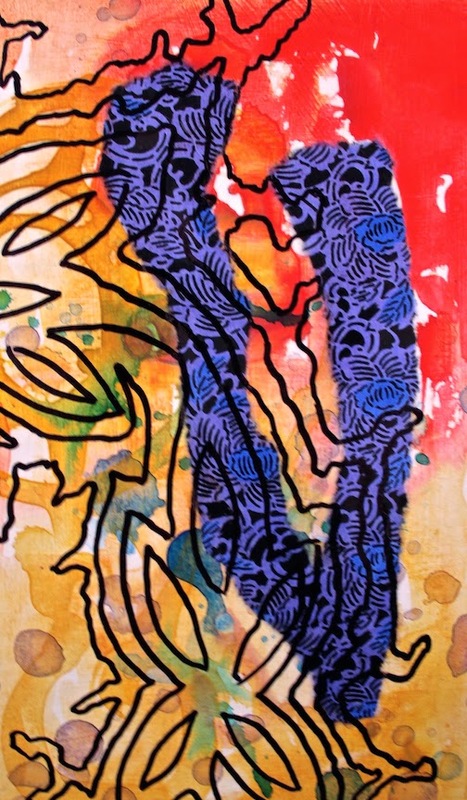 With our recent Fathom art exhibition at Allegory Gallery, I've had mermaids on my mind. 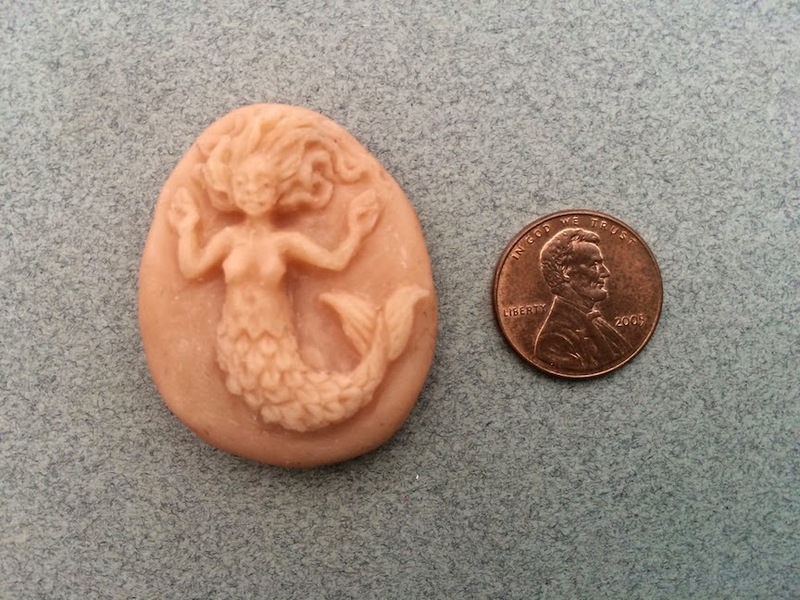 I wanted to create some components to go along with the show and sculpted this "mermaid stone". The idea is to cast it in resin and then drill it from side to side. I could probably also make some cabs by filling the molds halfway. I've taken a picture of it next to a penny to show the scale. While I do little things, I don't generally get this small. I'm pretty happy with it! I've already made a mold and done a few pourings. I probably need to let the mold off-gas a little more though. With such fine detail, I've noticed a lot of air bubbles and one stray air bubble can make the mermaid take on a more zombie-like appearance with half her face missing. I'll post more pictures once I have a finished sample. I love ancient Roman glass. I remember walking down the dimly lit corridors of the Metropolitan Museum, moving from one illuminated case to the next. Several contained unearthed glass vessels, glowing with a certain timelessness. There's something magical about the iridescent finish and crusty beauty. So I set out to work on my own experiments to create similar looking pieces in polymer clay! I'm getting there, little by little. In my first experiment, I made texture sheets and used those to texturize some nuggets that I made. I shaped them to look like river stones. I was happy with the texture and I was happy with the iridescent finish. I used a variety of opalescent paints with fine interference pigments. I was also happy with the alternative shape. Usually it comes in curved elongated ovals. They didn't look like glass. They were still very cool looking and I'm sure I'll use them in some project, but they just weren't "right" yet. I figured that since I wanted more translucency, I should make thinner pieces. 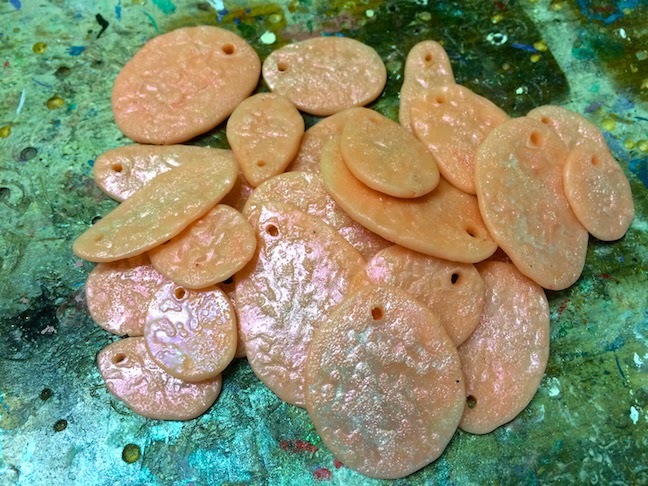 When you get translucent polymer clay too thick, it's a little milky. I also experimented with tinting the clay with other methods to retain as much clarity as possible. This round was better! One of the other restrictions of using real ancient Roman glass is that there's a limited color palette. It's a lovely color palette, but if you want to work with something else, you're sort of out of luck. With this experiment, I played around with a peachy, pink color. I'm going to hit it with some gold accents and I think it'll really make them luscious. It's still not as transparent as I would like, but it is getting closer. I've ordered some other clay and I am excited to try it out. I'm sure that I could have looked up various recipes online with how to fake Roman glass, but there's something nice about doing it myself. I like the process of experimenting and figuring it out. I also like that along the way, I learn more about the materials and processes and can then translate what I've learned into other applications. Tomorrow (Tuesday) evening is the meet-up at Allegory Gallery for the in-person Inspired by Reading Book Club. 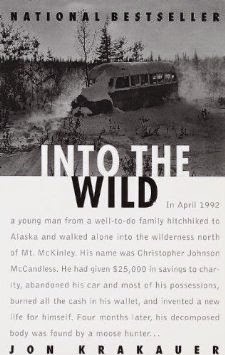 We will be discussing our January selection, "Into the Wild" by Jon Krakauer. The meeting is from 6PM to 9PM. (Though you can come earlier if you like.) We'll be discussing the book for the first hour and sharing our creations. Then we will be screening the film based on the book! Come by and join the fun! This is the reading list for 2015/2016 for the Inspired by Reading Book Club. For 2014/2015's list, CLICK HERE. (For 2013/2014's list, CLICK HERE.) 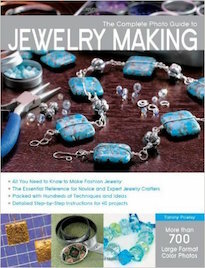 To participate, all you have to do is read the book selected for that month and create something (artwork, jewelry, components... etc.) inspired by what you've read. At the end of each month, there will be an opportunity to share your work in the Facebook Group and through a blog hop. (I'll post the dates of the reveals here and on the Facebook Group.) CLICK HERE to join the Facebook Group. December 2015 - Happy Holidays! I did a check and all of the books are available and still in print. Most of them are available in paperback and can be picked up fairly inexpensively used. All of the above links will take you to Amazon and you'll find some great deals! And don't forget, you can always see if your local library carries these titles or will order them for you. A few years ago, I met someone at a trade show who had boxes of broken Native American pottery from the Southwest. I mentioned that it would be fun to make jewelry out of the pieces and promptly filed it away under "cool conversations from the road that will turn into anything". 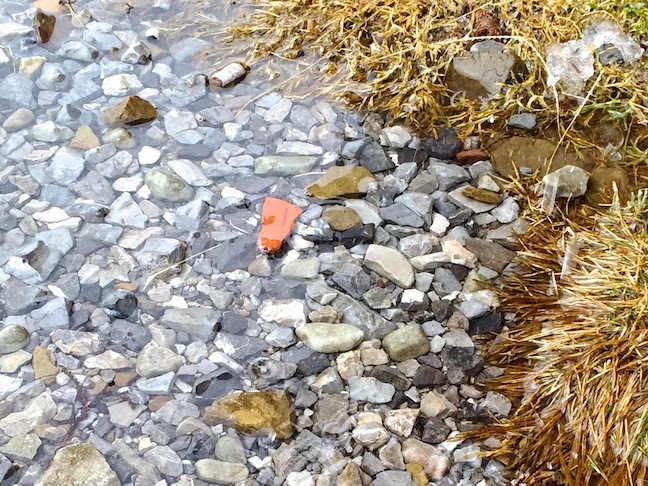 A few weeks later, a surprise package arrived filled with pottery shards! There was a quickly scrawled note on a torn out sheet of spiral notebook paper. It said, "Have fun!" Over the years, I thought about the box. The shards were pretty coarse, so I thought that I might throw them in the tumbler and see what happened. I did with mixed results. Some of the pieces had nicely worn down edges. Others... well... they completely dissolved and created a grainy sludge at the bottom of the barrel. I decided to do a soldering experiment and used the tumbled pottery shards to create the pendants. They're not perfect, but I'm glad that I finally got around to working with them. I still have a box left and plan on revising this idea and expounding upon it. I am the water running over cold stones and broken pottery. I am the tapping drops, drip-dropping from icicle tips. Flowing and moving, then frozen solid again. Steady motion stopped. Fragile, fleeting thing, here in this moment. Never again exactly so. 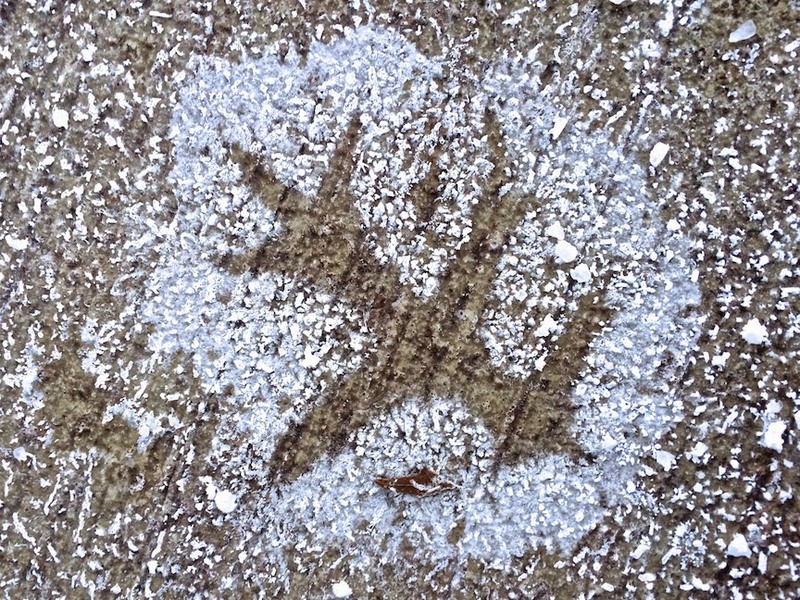 An outline of a shape, a leaf on the wind, traced out in salty ice crystals, soon to melt. Check out the latest challenge Andrew hosted on his blog, Star Frost, and see all the different pieces the talented participants made! Cherie gives a step by step in creating a mixed media painting. The Crafty Princess reports some more knitting success as she works through a Craftsy.com knit class. Easy-to-make wine glass lampshades make romantic little candle lamps. My super New Years news is a new blog dedicated to my resin work and all things about this amazing medium! I Love Resin! 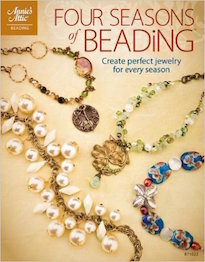 Are you ready for another year with the Bead Journal Project? Cyndi shares her plans for this year. Want to get involved? She'll be glad to tell you how! This is the latest Design Kit Challenge! 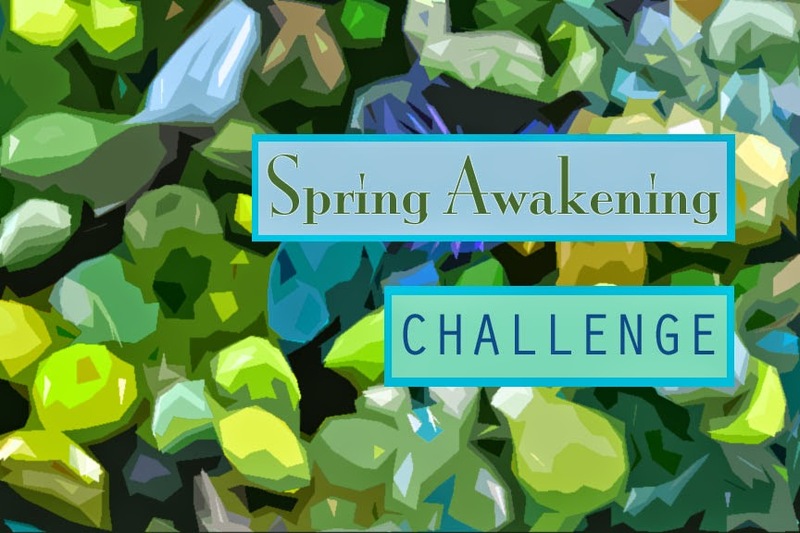 Let me introduce you to the Spring Awakening Challenge! If you're not familiar with the challenges, it's a fun and informal way to play, create, and challenge yourself with a pre-selected set of components. Let's see what you can make! To participate, you must purchase a Design Kit. 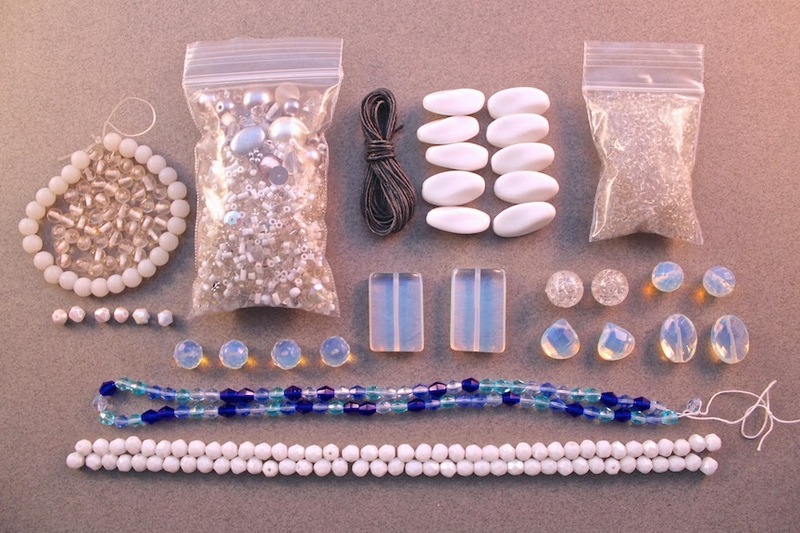 This kit features a selection of premium Czech glass (both new and vintage), vintage lucite, African glass, carved jade, magnesite, waxed Irish linen, calsilica, vintage Japanese seed beads, and a Luxury Bead Blend. 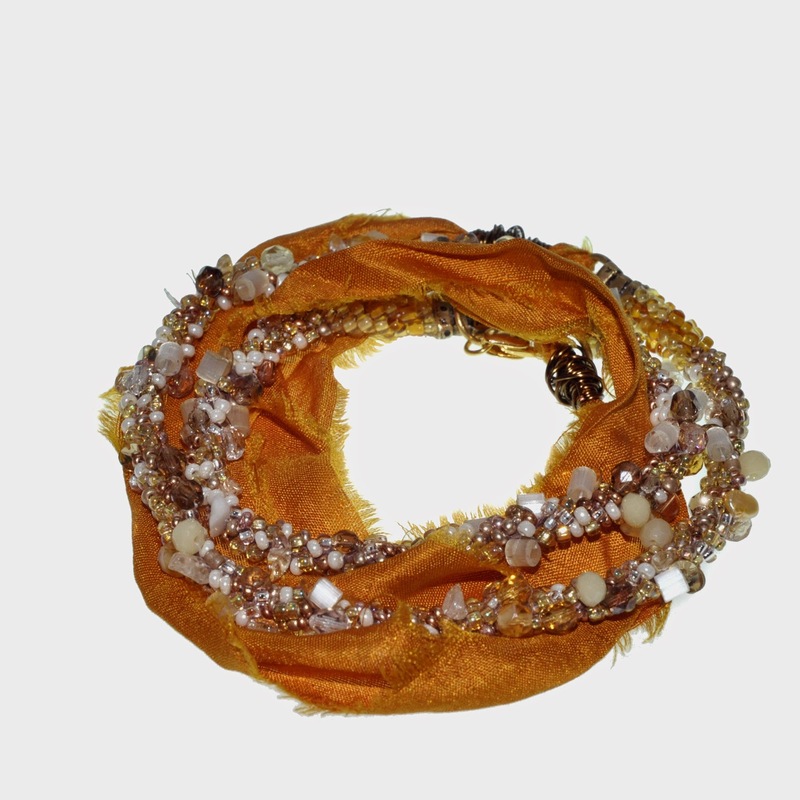 The Luxury Bead Blend consists of Japanese Miyuki seed beads, Toho seed beads, freshwater pearls, vintage trade beads, Czech glass (both old and new), African recycled glass, jade, stone, vintage sequins, Germain glass, vintage Japanese glass, and glass pearls. The Mystery Component will be publicly revealed on Monday, February 16thth, 2015! I've really been enjoying the Pantone Fashion Color Report for Spring 2015. In the Spring Awakening kit, I wanted to focus on bright combinations of greens and blues – capturing the freshness of earth and sky after winter. I blended Aquamarine, Scuba Blue, Lucite Green, Classic Blue, Tree Top, and Woodbine to create this kit. I wanted to capture the feeling of things bursting into life! The reveal date is set for Thursday, March 19th, 2015! Post a picture on your blog or send one to me to post on your behalf (if you don't have a blog of your own). 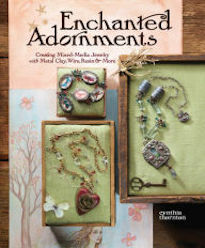 The Spring Awakening Challenge will end in a blog hop, sharing all the lovely creations with your fellow participants! 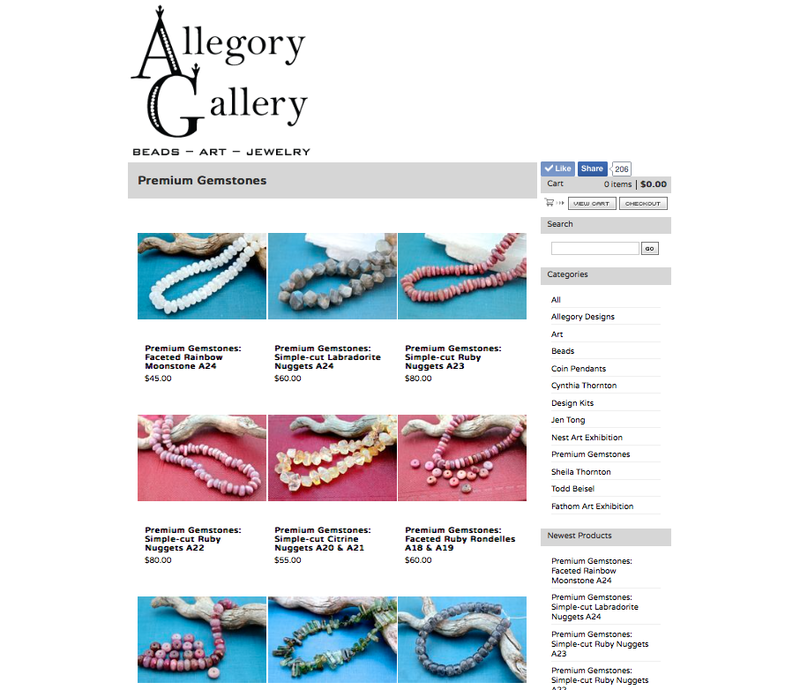 CLICK HERE to take a look at the new Premium Gemstones section on the Allegory Gallery online store. I'll be adding more as time goes on, but this is a good start! To celebrate the launch of the new section, use coupon code "GEMLOVER10" to save 10% off the new gemstones. Don't delay though! This coupon code will only be available for a limited time. Slow shuffling steps in the dark, making my way in the shadows. Tentatively finding purchase on wet earth. 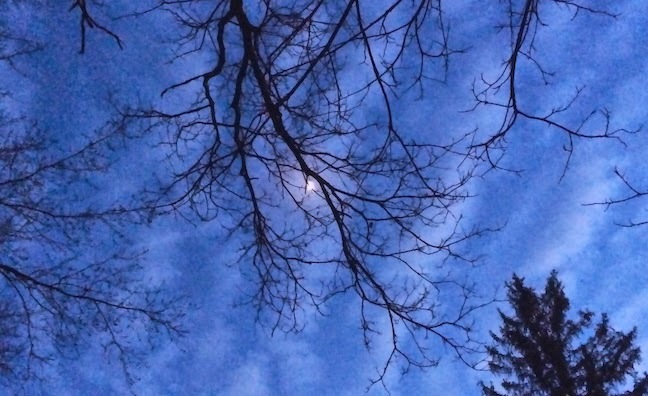 Above, a singular candle of night burns white, caught in bare branches. 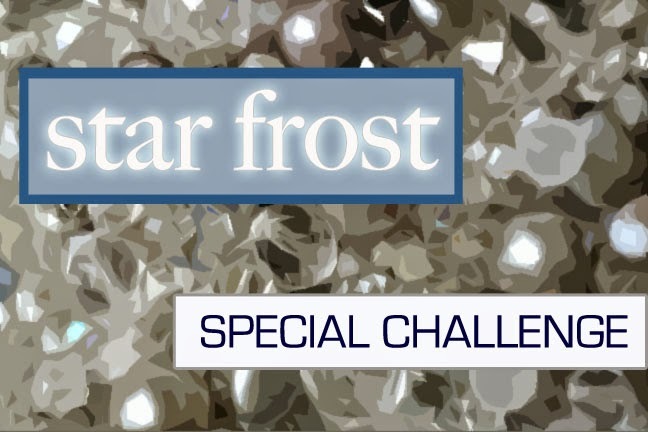 Today is the Reveal for the Star Frost Special Challenge! If you're not familiar with the challenges, I put together a Design Kit and offer them on a first-come, first-serve basis. Challengers claim their kits and I then send them off around the world! Each participant has about two months to create a piece and at the end of the challenge, everyone shares what they created! It's a fun way to challenge your creativity and it's always fascinating to see what each person will make with the nearly identical kits. Sometimes there are overlaps in the ideas and themes, and other times... things are vastly different from each other. I wanted to do a special "holiday edition" of the challenge and created a wintry blend of frosty clears, cool blues, chilly grays, and icy whites. I wanted to put together a kit that celebrated the time of year. To learn more about what went in the kit, CLICK HERE. One of the fun elements of the kits is that there's a Mystery Component. It's usually something handmade by me. This time it was a polymer clay snowflake pendant. I created this bracelet. 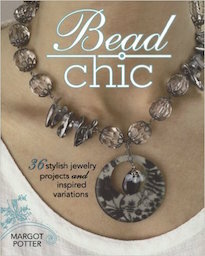 I dug through the Luxury Bead Blend and found these clear drops, which I liked very much and wanted to use. So I located another tube to augment what was in the kit and paired the drops with a silver-lined frosty blue seed bead. I used Spiral Stitch to create the base of the bracelet. The drops give it a fun, textural element that reminds me of icicles. When I finished, I thought it needed to be jazzed up a little, so I sewed on a decorative ring and added some wire-wrapped dangles strung up with opalescent glass from the kit. It gives the piece a little bit of movement and catches the light nicely. These pieces were created by Cheryl Tucker. 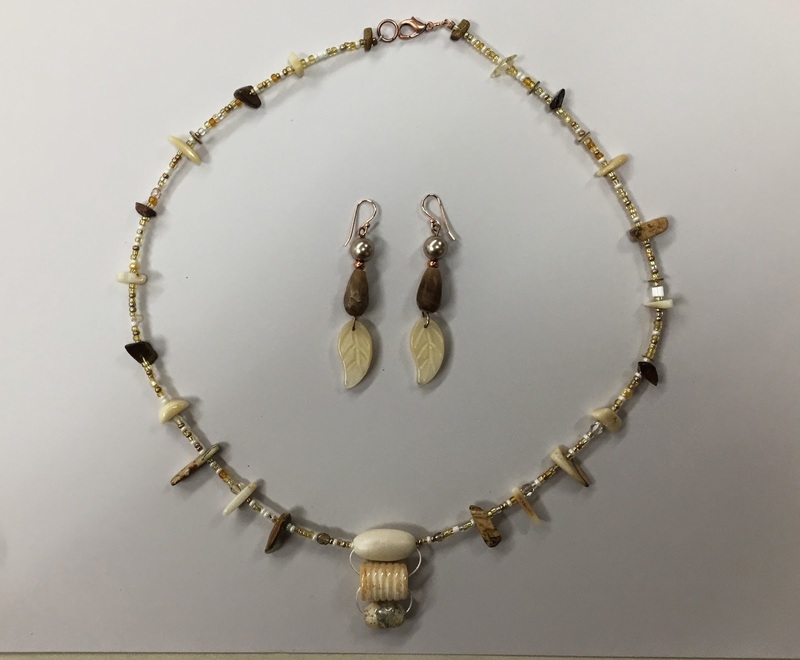 Here's what she had to say about them: "I separated the beads into two stringing projects and made matching earrings for each piece. For the first project, I added blue beads to the necklace with the Mystery Component. I love that icy blue combination." "The multi-strand white bracelet should be good now with a sweater but may be better with a tan next summer!" Mia Nutick made these pieces. Here's what she had to say about them: "I have a few things but I am going to have to do some for the Catch Up Reveal. I'm moving, so things are in a massive disarray! I got SO many more piece out of the Star Frost beads than this! It was GORGEOUS! 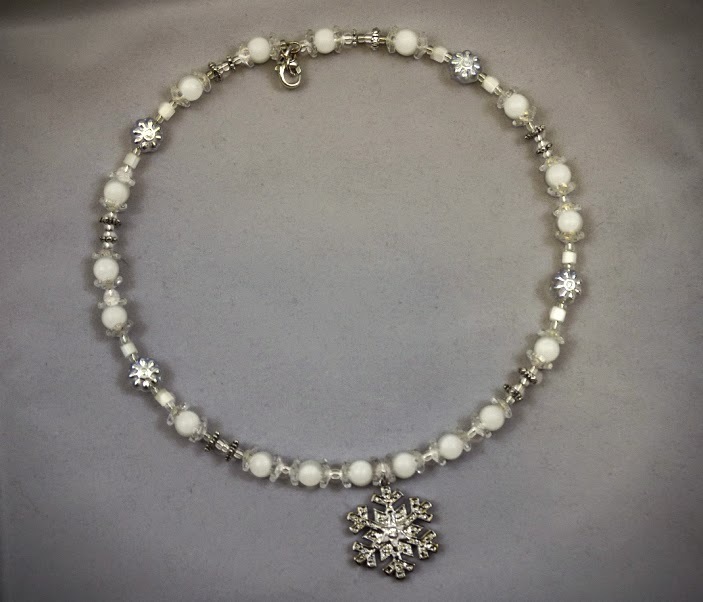 The choker is on memory wire with an added snowflake charm." 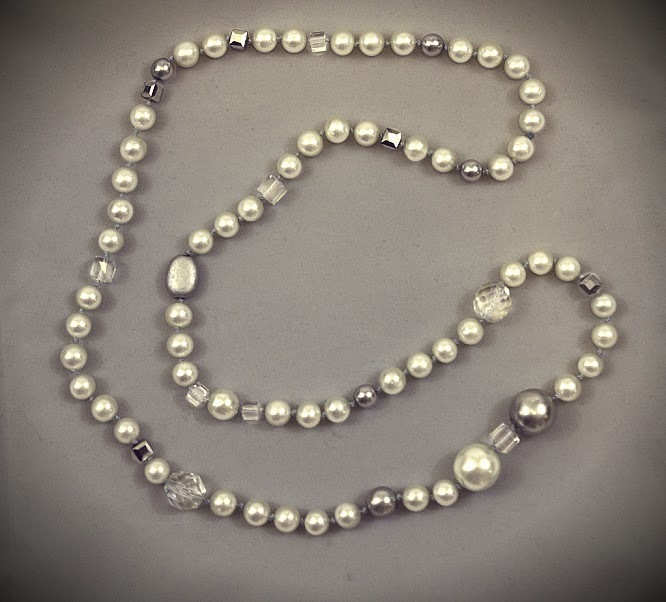 "In this necklace, I used elements from the kit, but I also added Japanese cultured pearls." 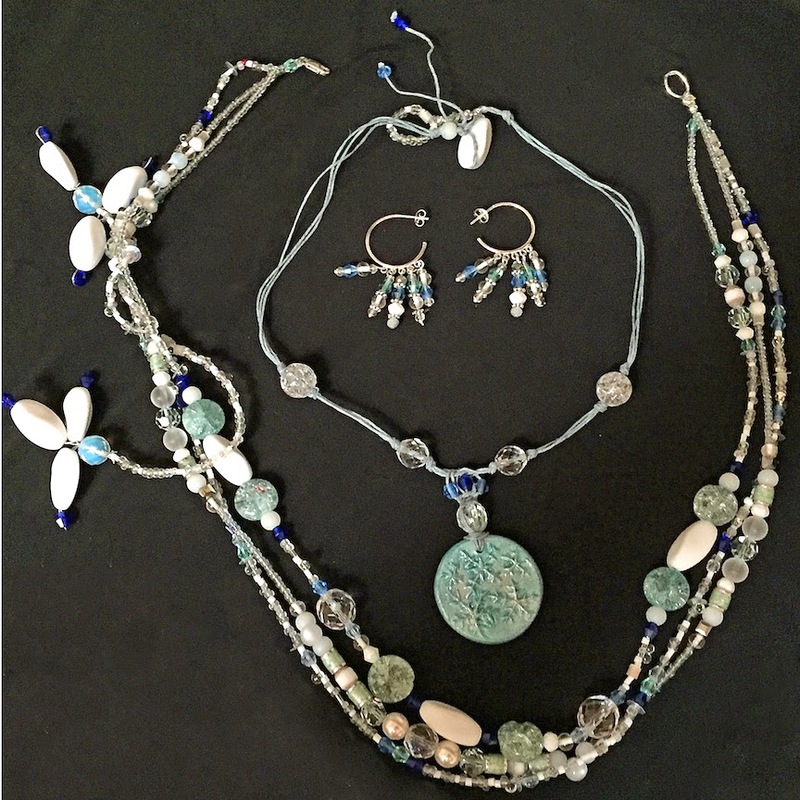 "For this necklace, I made matching earrings and a bracelet. 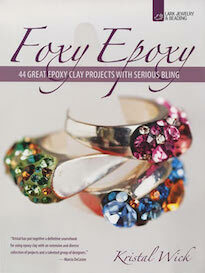 I added Swarovski crystals from my stash to elements from the kit." "I'm glad I started doing these challenges! I am going to go back to selling jewelry on Etsy under the name Bauble Yaga... that is... AFTER we move and get everything set up and I sell my back inventory from Chimera Fancies." 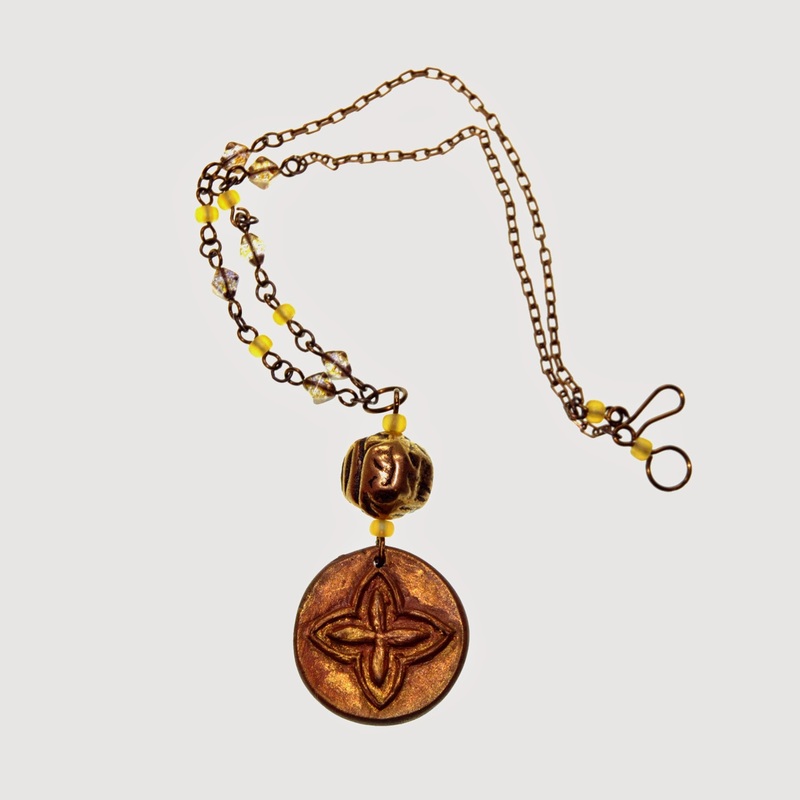 This necklace was made by Joanne Goldberg. Here's what she had to say about it: "I'm traveling and I knew I wouldn't be here for the reveal, so I sent my piece in early. 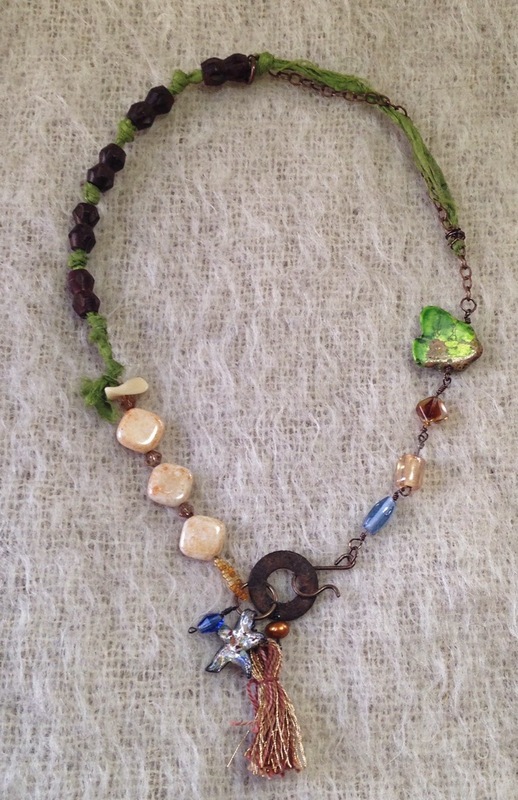 I strung the necklace and added a cluster of vintage Japanese glass." These pieces were made by Lisa Mendum. Here's what she had to say about them: "Thanks again for a wonderful kit! You always put together such wonderful textures and colors. I love layered jewelry and decided to make a set I could wear together or separate. 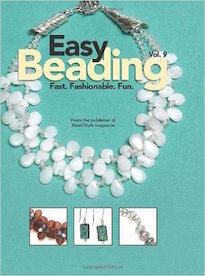 I made a short wired beaded section that I could wrap around the multi-strand necklace and a pair of beaded hoop earrings." But wait... that's not all! Please swing by the blogs of the other participants from around the world! Check out what they made for the Star Frost Challenge! The Desert Sands Challenge is up next! The reveal is scheduled for Thursday, January 29th. Check back here to see all the lovely creations! ALSO, tomorrow (Friday, January 9th at 7PM EST) the next Design Kit will be revealed and go on sale! Swing by tomorrow and get ahold of your kit! If you're interested in participating, the kits sell out super fast, so make sure to grab one while you still can!